How Can You Be Safe While Exercising Outdoors? 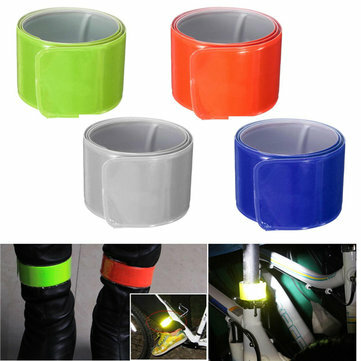 Remember the article we wrote about safe cycling and the must have gadget? If not, you can look it up here. Now, what about if you are not into cycling, but love to jog or brisk walk? Many love to do this in the twilight hours, be it dawn or dusk. Either way, it’s usually dark out there. So how do we keep ourselves safe? So the other day, my wife and I were brisk walking. It was about 5am and it was pretty dark. This particular morning was different though. There was a new guy, we hadn’t seen and he ran past us, with this thing on his hand that was going on and off like disco lights. That caught my eye, and I thought about this stranger who truly valued his safety! That was an armband led reflector light. Why is Armband Reflector Important? Now bear in mind that were we stay, the street lights don’t always work! Like that week, I think the lights were out for 5 days or more. Then you have to account for cyclists who are not exercising but cycling to work on bikes that don’t have lights. The chances of big hit by them increases. Added to that is the fact that the chances of being struck and killed as a pedestrian increase by 1100% after dark or early in the morning according to the National Safety Council. In the Scandinavian countries, where reflectors have been used by all members of the population since the early ’60’s, the nighttime pedestrian accident rate is 50% less than in the United States. In the US, over 60% of pedestrian accidents and deaths occur in the dark says the National Safety Council. Wear or carry a reflector beginning today! Be Safe – Be Seen! 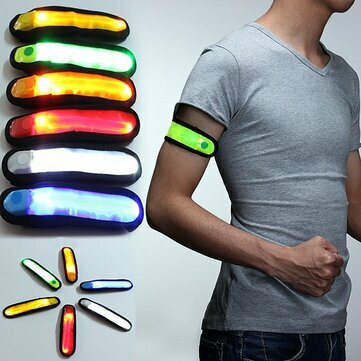 YOU CAN CHECK OUT THE ARMBAND REFLECTOR HERE. What is Platypus Soft Bottle & Why Should You Get it? Why is SOCIAL WARFARE the Best Plugin to Use own Your Blog?